According to Berd & Klauss, PLLC, a New York-based immigration law firm, the Department of Homeland Security (DHS) has just announced a pilot program designed to decrease the time and effort required to sponsor individuals in certain employment-based classifications. The immigration attorneys believe if this pilot program succeeds, the DHS may build upon it and make the process more efficient for every business who regularly sponsors foreign workers. In this pilot program, a select number of employers will create profiles in the Employer Document Library, including documentation that shows they are eligible to sponsor foreign workers. If the United States Customs and Immigration Services reviews the files and determines that the organizations are, in fact, eligible, those entities will then be allowed to submit petitions for several individual employees without including their company information each time. 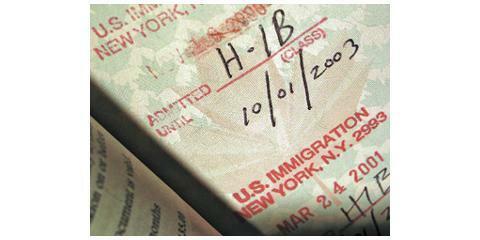 Significantly reduced paperwork, which must be filed by employers and processed by USCIS. Greater consistency in the outcomes of similar applications. A streamlined, more efficient internal adjudication process, which will speed up the process and reduce delays. This pilot program is being offered to up to nine different employers for up to one year at no additional charge. However, the program could be ended or extended at any time as the results develop. The immigration attorneys at Berd & Klauss, PLLC are committed to providing high-quality services to people in almost any situation. You can rely on this team for advice based on up-to-the-minute information, so visit their website to learn more. And call (212) 461-7152 to schedule a consultation today with the immigration attorneys.